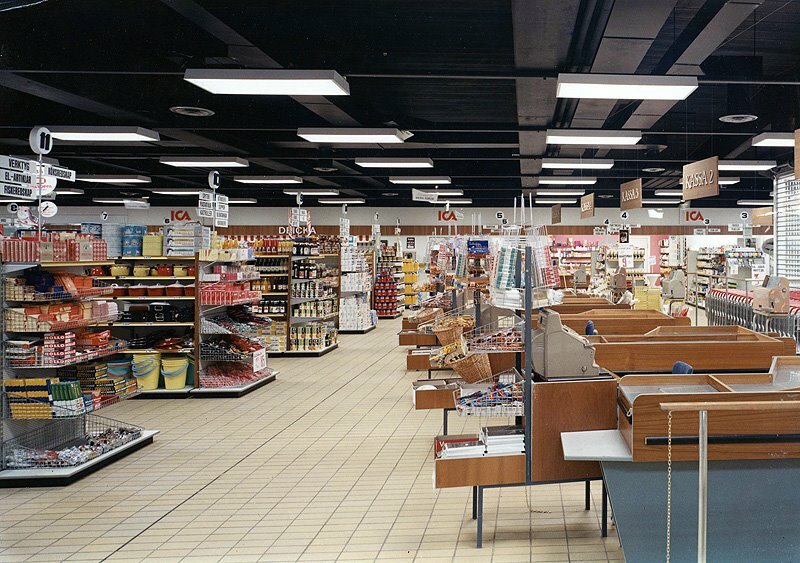 Found these great vintage photos taken at two different ICA stores in Gothenburg, Sweden. Most likely taken for publicity reasons for use in catalogs or magazines. ICA is one the largest retail chains in Sweden, started back in 1938 and today boasting over 1 600 stores nationwide. Can’t help thinking how Americanized the stores appear to be.